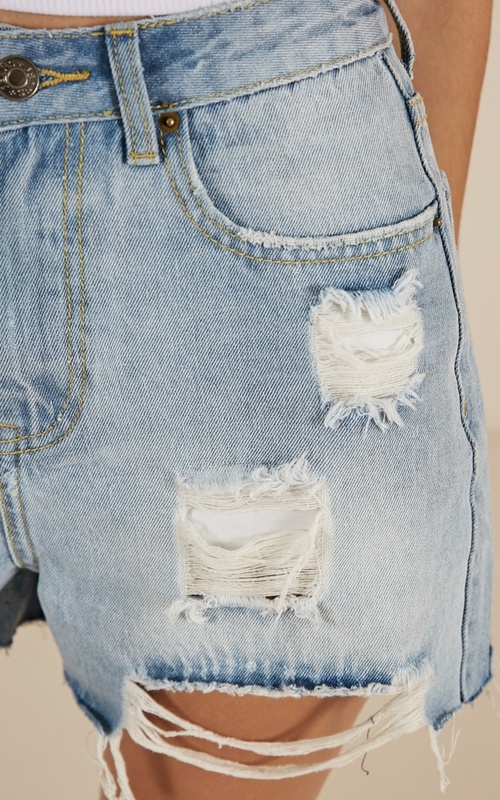 Add some instant edge to your look with these denim shorts! 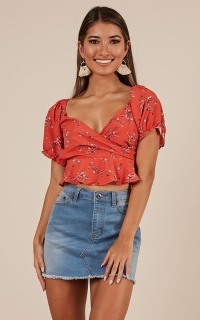 Pair with a basic tee for a more casual look, or pair with a cute crop and strappy heels for some extra flash! I LOVE these shorts. 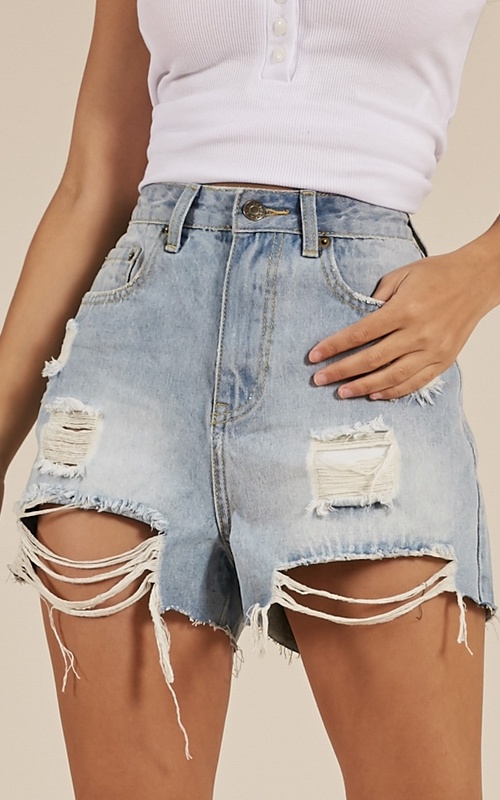 I haven’t worn shorts since I was a teenager (four/five years) because I found all denim skirts rode too high up and showed more than I wanted. These ARE short, but the distressed fabric at the front is the perfect length and the back has good coverage (not heaps, but definitely enough). 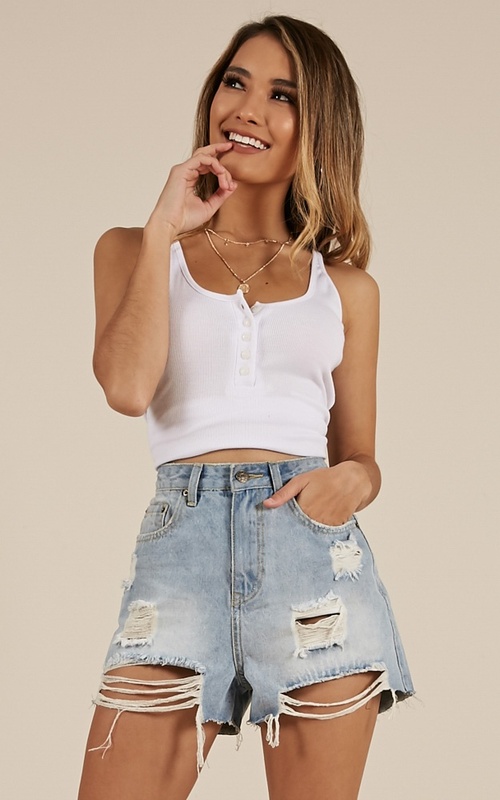 The waist is perfect on me and these are definitely going to become a staple for me this summer. As a pear shaped women I often struggle with sizing and this is a prime example. These did not fit me in the hips but were I to size up would not fit me in the waist. The denim material is nice, and the button and zip are sturdy. Looks great on the model but looks terrible in real life. The waist is huge definitely not a small.